I had the opportunity to chat with a VP of Sales of a $100+ million company who told me that she was going to give a prospect so many features, functions and services as a packaged sale – that they would be just overwhelmed . . . and just buy. This is not sales planning! Overloading a prospect with freebies is an immature and unsophisticated market model that positions you as a commodity, sets you up for discount conversations and minimizes the true value you can bring the client. 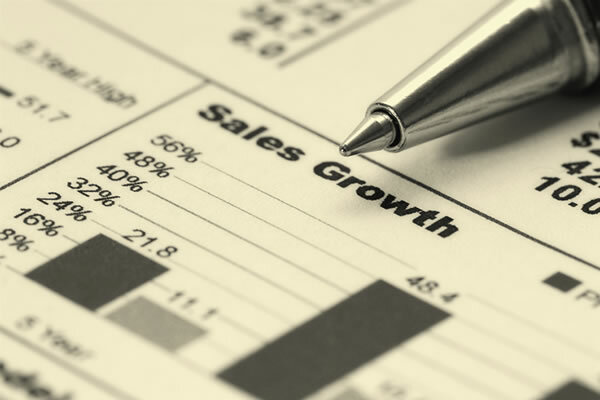 Sales planning is a key sales action step that many salespeople talk about . . . but most don’t do. It’s like losing weight. We all know how to do it. Work out more and stop eating pizza and chocolate donuts. Instead, most people just rush to the book store and buy the newest book on losing weight. But true sales planning requires an action step, a commitment, and a targeted timed goal . . . and that’s what sales is. Yet to sell more, you must plan more. Planning based on personal experience. Using knowledge from your personal sales experience in other accounts limits your sales success with new accounts because it is based on the assumption that all prospects are the same. It also assumes that sales models of today are the same as they were 5 years ago. Planning based on the client’s past purchases or discussions. Like you, clients’ business needs change. To plan an account based on a previous purchase they made or comments you heard them make last quarter assumes that their business model is not constantly changing or dynamic. If you use both of these methods in your sales planning, you will limit your ability to sell senior management because these methods only focus on the client’s immediate needs or your knowledge as the selling vendor. As salespeople, we have a tendency to project our needs onto the client . . . instead of adapting to their needs. Hapkido Sales Planning Techniques To Sell More! By using techniques of Hapkido Sales Planning, you can dynamically adapt to selling cues from senior management. What is Hapkido and how does it translate into sales planning? Hapkido is an ancient martial art from Korea. It is classified by the Korean government as a combat martial art and is designed to adapt to physical engagement in a passive-aggressive way. The method’s subtleties are very unique in that it allows the defender to dynamically be aggressive or passive depending on the engagement and the inbound cues being sent to them. The aggression or passivity is totally reflective of the engagement at that moment. Dynamic Flowing – Never struggle with inbound force but instead adapt to it and penetrate based on actions, not words, of an opponent. Dynamic Circling – Never cross into an aggressive or private area of an opponent, but instead redirect any aggressive action away from you. Dynamic Harmony – Use all of your tools and prepare to completely take control; be prepared (practice). So, how can these Hapkido techniques help you to plan your senior management contacts better? Planning sales calls, like practicing Hapkido, requires to you understand that interaction is dynamic by nature and you must be prepared and adaptive to succeed. Decide what you are going to say. (Hapkido method – Dynamic Harmony.) Never call a prospect or meet with a senior executive because your CRM or contact manager system says it is time to do so. Have an objective. Practice the action steps you are going to ask for. (Hapkido method – Dynamic Harmony.) When was the last time you went into a conference room and practiced by yourself or role-played what you were going to say on the phone or in person? Ask for an action step. (Hapkido method – Dynamic Flowing.) You are in sales. You must consistently ask the prospect to take an action step as you walk through the sales cycle. Verbal commitments are useless, so focus on their actions. Know what their business needs are. (Hapkido method – Dynamic Harmony.) Senior executives don’t care what you sell; they only care about how you can help them. The more you know about their issues, the easier it is to sell them. Don’t shoot from the hip. Qualify them over and over again based on actions. (Hapkido method – Dynamic Circling.) Prospects may tell you they are interested, but you must redirect their verbal communication into an action step. Never believe what they say, only what they do. Keep qualifying until you have a purchase order in your hand. Prepare a written concession list. (Hapkido method – Dynamic Circling.) When you sell senior management, you are always negotiating new appointments, terms, and delivery dates, and milestones. Always prepare a premeditated concession list with throw-away variables to allow you to give and take (circle) with the executive. Try the Hapkido process on your next prospect planning session . . . and start selling more.